What’s your personal learning style? Your brain has tremendous potential, yet the average human being only uses between five and ten percent of this capacity. One of the ways to realize this potential is to discover the best way in which you learn. Four decades of psychological research have shown us that each person has a distinct way of learning, known as his or her personal learning style. This may come as a surprise because many of us have been taught that there is only one right way to learn and think. However, research on the brain and learning has proven that, in fact, individuals vary greatly in the ways that they input, organize, assimilate and output information. When learning something new, what do you prefer? to listen to someone talk about a concept? to read about the concept? to watch or experience a demonstration of the concept? All of us approach learning tasks in different ways. Each of us has a unique collection of individual skills and preferences that help us to process and understand new information and experiences. We use all of our senses to learn, but most of us are strongest in one area. This natural preference or dominant style is known as your learning style. It defines the best way for you to learn new information by suggesting study methods that enable you to learn more easily and quickly. In fact, your learning style may be the single most important key to improving learning potential in your personal, academic, or professional life. A learning style is the way you learn best. Your natural learning preference or style dictates how your brain works most efficiently to process, comprehend and learn new information, and how easily or quickly you learn something new. A learning style is the unique collection of individual skills and preferences that affect how a person perceives, gathers, and processes information. Learning styles are the manner in which brains learn and store information. Learning styles have nothing to do with how intelligent you are, but rather with how you are intelligent. What are learning styles, why are they important, and what is your personal learning style? Studying Style is a free guide to learning styles that answers these questions. We also help you to explore how your own personal learning style -- visual, auditory, or tactile-kinesthetic -- can improve the way you learn. You will learn faster and remember more if you adapt your studying methods to suit your personal learning style. 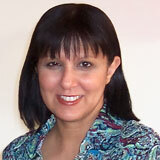 This site is written by Rebecca Ezekiel, an experienced English trainer and learning specialist. She has devoted her career to helping people communicate and learn effectively for greater personal, academic, and professional success.